A new willingness of archives to lend their prints has meant audiences, like those attending Anthology Film Achive’s ‘This is Celluloid’ programme, have access to ‘some of the best-looking prints available’ reports the Wall Street Journal. Margaret Bodde, executive director of the Film Foundation, also senses a change in attitudes and that there is a desire to keep film as a choice, for directors as well as for cinema goers. She goes on to explain that film has a distinct quality that is irreproducible in digital and that even flaws in prints can’t detract from this. 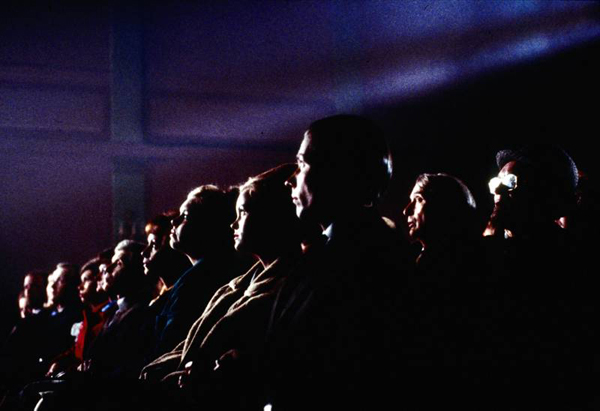 The ‘pulse’, the ‘materiality’, the ‘reverie’ of film are drawing audiences because they know that what they are seeing is special and, importantly, different to a digital theatre experience. With more cultural value placed on film prints, we can hopefully prevent repeats of gross losses in our film history; Film Foundation estimates that somewhere around 50% of all films made before 1950 have been lost. New York audiences are spoilt for choice of where they can view 35mm projections: the Film Society of Lincoln Center, Film Forum, BAMcinematek, Museum of the Moving Image and, for a series celebrating the centenary of Technicolor, the Museum of Modern Art. Contact us to let us know of cinemas projecting film where you are.